Founder / Skincare Specialist / Face & Body Waxing / Brow Artistry / Day to Day Makeup Artist / Special Event Makeup. 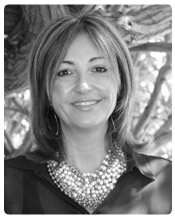 Neala Moch started her career 18 years ago, and has since grown to be one of San Diego’s premier skincare specialists. Neala’s natural style translates into her skincare services. Her skills and techniques along with incredible creativity and down to earth personality have made Neala Moch one of the most sought after estheticians. Her constant thirst for knowledge and better results, is what drives her to attend advanced training, and to seek out the best products in the industry. Neala is also an owner of the Stratford House/Spa. Her goal is to exceed the expectations of all Stratford House clients and to provide the most innovative treatments in skincare, hair, brow artistry, makeup & nailcare.